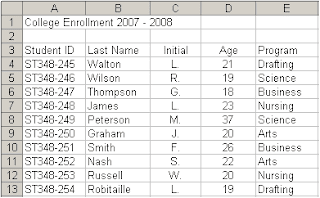 The basic format for storing data in an Access database is a table. 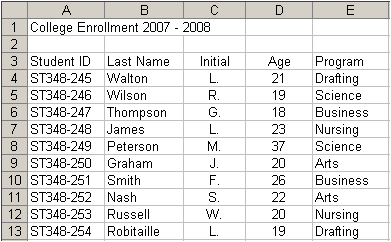 In a table, data is entered in rows, each row is known as a record. Once a table has been created, and you have entered data you can use Access data tools to search, sort, and filter records in the database to find specific information.